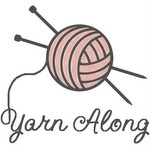 I'm linking up with Crunchy Catholic Momma's Stash Bash, and Tami's Amis Work-In-Progress Wednesday. 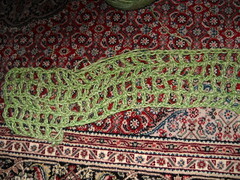 I just started working on the Apple Blossom Stole, using recycled yarn that I dyed myself. I'm planning on shortening the mesh section in the middle, and extending the blossom section. 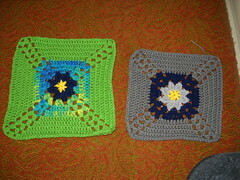 Very pretty squares. 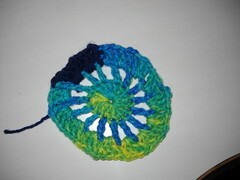 Citron, the varigated yarn is very nice. 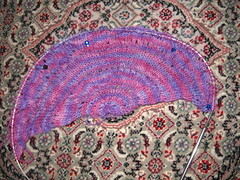 I am just starting a shawl, and have only just cast on, very slow! Love Citron! I'm doing stash busting squares as well, so I'm taking note of your pattern choices! THe apple blossom stole is just lovely, too, I adore the colour and its openness. 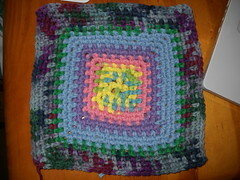 Pretty squares! The citron is looking lovely. Wow that citron is coming out really pretty! 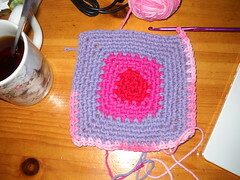 One thing I have never mastered in crochet is granny squares, they just escape me. 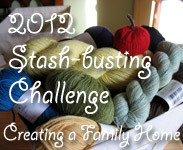 Thanks for joining me in the Stash Bash.